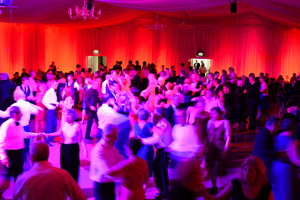 As most dancers in and around the Southwest were seemingly aware, on Saturday 4th May 2013 there was our big Ballroom & Latin event in the wonderful Bath Pavilion. We worked hard to put together a day of interesting, useful, & highly topical workshops, with a big dance for everyone to enjoy in the evening under the enormous roof in this great city-centre venue. We’ve been inundated, and slightly overwhelmed, by so many lovely comments, e-mails and great feedback from the whole day; it’s great to know all that hard work was worth it with so many dancers having such a great time. We’d like to thank all of you for taking the time to send us a message, and for those already asking, rest assured plans were already underway for our next big events. Then they highlighted the key places where they often feel connection can easily be lost, emphasising what to be aware of in order to keep the togetherness through the more tricky aspects of the group. Everyone wrestled very well with the group and what James & Joanna had to say, and there was much practice on the floor after the class finished. The second class developed the use of shape in a similar group in the Waltz with some famous props from our childhood which soon brought everyone into laughter. Again, the group was well received with so much enthusiasm after the class. The development of shape is not easy but James & Joanna made it seem as easy as Hula-hooping. 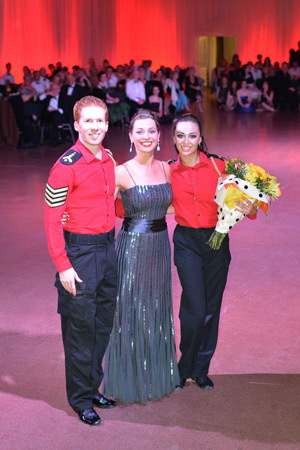 The afternoon Latin American workshops were given by none other than current World Amateur Latin American Champions, Neil Jones & Ekaterina Sokolova who represent the UK all over the world. These two are a lovely young couple and gave their time so generously in the afternoon, carried away by the clear enthusiasm for what they had to say. They spoke about what is important for them in a good basic action, centering their own body weight clearly before moving in a new or continued direction. Neil & Katya clearly worked to ensure the group understood their topic and gave their time freely to couples in the group with some great fun and a bit of humour along the way. And so to the Ball! We don’t want to say too much about the evening, leaving you mainly to your own great memories, but what a wonderful atmosphere. It was very positive to see such a range of dancers taking part in the ball in the great setting of the enormous Bath Pavilion. We were treated to the live music of Tony & The Sapphires, a dance band we’ve been working closely with, who continue to seem to strengthen and produce great music for dancing. Now largely run by the experienced hands of Antonio Socci, this band have really come on in leaps and bounds and are surely becoming one of the best dance bands out there now. It was a great set from them once they took flight on Saturday. After the interest in Neil & Katya’s workshops during the day, it was with added excitement that their cabaret unfolded in front of the big crowd later in the evening. Such humble quality in their dancing, captivating but never over the top, and drawing such a warm response from everyone. They seemed to be dancing better than ever, even with the odd choreographic surprise (yes, by the way, that Rumba was improvised on the spot!). We just hope we’ll be able to bring them back to Bath again some time in the future as it’s an increasingly international world for them now, such is their following and talent. So what next? Our next ball is on Saturday 26th October, our Masked Ball, and once again hosted at Bath Pavilion, featuring the amazing ten dance cabaret of Glenn Boyce & Kayleigh Andrews. Our Spring Ball 2014 will be on Saturday 10th May and feature none other than the World Professional Ballroom Champions Arunas Bizokas and Katusha Demidova!!! Don’t miss these, add it to the diary now. All of the latest information is now available on the Viva La Dance web-page here, and tickets are also available at our classes or other events if you plan to attend those. Thank you for making it such a special day and we look forward to seeing you all again soon! This entry was posted in Ballroom & Latin, Dance Events by vivaladance. Bookmark the permalink.